Over the years, I have reviewed well over 100 books. The reasons I do this are several: I enjoy reading, I enjoy writing (I have written over 20 books), and I’m always trying to learn more about what I do and what I’m interested in. People have asked me how to write a book review. Let me give you a look at how I do it. I know that some other people do not do it this way. Particularly, I have in mind those “book reviews” which usually serve as a vehicle for someone to make the point that they are somehow smarter, more experienced, or more learned than the author whose work they are reviewing. You know the ones – where the review seems positioned to obtain pats on the back for the reviewer, and not to aid in understanding the author’s book. As a reviewer, your job is not to rewrite the book, but to offer a well thought out opinion to individuals who might consider buying the book, or using it in their business or in teaching. I will put another way: your job is not to inflict pain; it is to look at the value of the work. If you find, and this is occasionally the case, that the work lacks any real value, then don’t review it. Second, understand why the author wrote the book. Very often this is found in an introduction or preface or perhaps in some materials from the publisher. What you’re trying to do in your review is to explain to the target audience, and potentially other audiences, what you see in the book. So if the book is aimed at a research chemist with a PhD, you certainly cannot fault it for being somewhat dense. On the other hand, if it is aimed at junior high school students, a comment about its lack of clarity might be absolutely appropriate. Third, actually read the entire book. I do not mean that you should not dip into the book as well. For example, let’s say I have a book on management strategy. 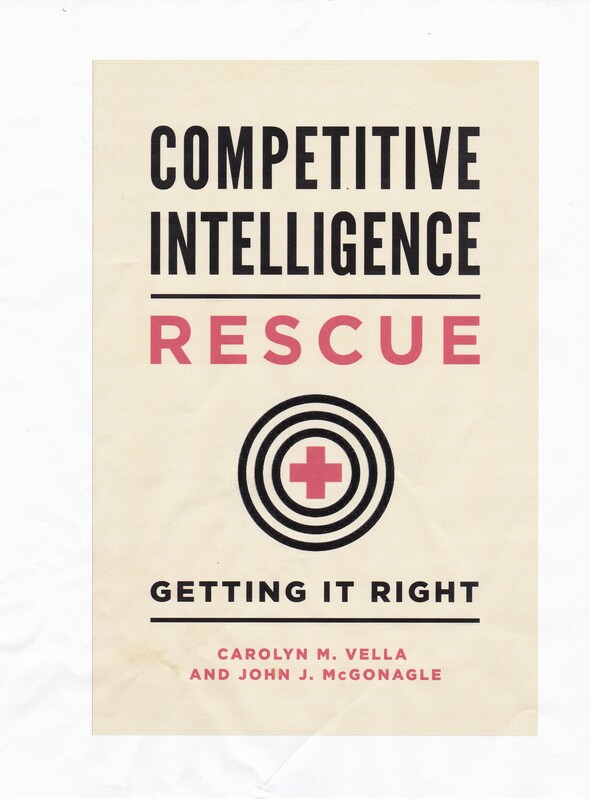 Because I’m consider reviewing it for an audience of competitive intelligence practitioners, I may well check the index to see what is indexed under the terms intelligence, business intelligence competitive intelligence competitor intelligence, etc. If I find nothing there, I may well pass on reading and reviewing the book. On the other hand, if I’m reviewing it for the Association for Strategic Planning, I’m not going to bother with that; I will dive right into the book. Fourth, rely on what you read in the book, not elsewhere. Some publishers put out supplemental materials that they distribute to potential reviewers. These materials may include a half page synopsis of the book. That can be a useful to understand the targeted audience the book is aimed at as well as its overall purpose. However, I have seen reviews that basically crib that synopsis. That is wrong. Similarly, some publishers will send out a question-and-answer session with the author. I’ve also seen this occasionally put in a review where gives the impression that the reviewer actually sat down with the author and had him/her answer specific questions. Your job as a reviewer is to review the book. Do not cut and paste marketing materials as part of that process. Fifth, keep track of what is attractive or important to you. My habit is to dog ear each page that has something interesting or important on it. This may be a new insight, a different way of defining the problem, or the like. At the end, I have two bases for an overall impression of the book: one is the reading I did; the second is the number of pages that I have found marked as being useful to go back to. If it an electronic book, just bookmark it. Sixth, in the review, provide all the critical details about the book, that is, the full title, the full name of the author or authors, the publisher, the number of pages, the price, and an address or website from which a reader can order or where it can be purchased at retail. With self-published books, e-book editions and the like, it is no longer matter of going to your local bookstore, if it still exists, and just asking for a copy of the book. Seventh, I usually start my review by saying what the author is trying to accomplish, and to whom the book is aimed. Eighth, be specific about why the book is useful or important. Feel free to quote, but be very selective on your quotations. Your job is to give the reader of the review a taste of the book, not to give away something new or different that the author has struggled hard to find or develop. You do not want to write a review where, if it were for a movie, you would have to insert “spoiler alert”. Ninth, tell the readers for what group or subgroup it is, in your estimation, a good acquisition. For example, you may find the book is a very elementary statement of its subject matter. Instead of saying that it is too simple, if appropriate, why not suggest it’s a good starting point for a beginner. (Remember Rule number One). Tenth, once the review is published, always send a copy of the review to both the publisher and the author. Make sure you include complete information on where it was published or posted. Many reviewers send review to the publisher only; some do not even do that. While it is the publisher’s responsibility to get these reviews to the author, frankly that takes time and is not a high priority task. Speaking personally, the author will appreciate getting a copy of the review from you directly. Thank you for this very relevant and actionable indeed! excellent blog & writing abilities. you make this appear simple lol. Keep up the great function I’ll be back to study more of one’s posts later on my buddy!